As the heat of summer gradually cools down, the brisk air begins to usher in fall. Soon the vivid green leaves will transition to hues of gold, red and brown. There’s no better way to experience the spirit of the season in Kansas than by inviting your best travel companion on a scenic joy ride through the autumn-kissed hills and vistas. 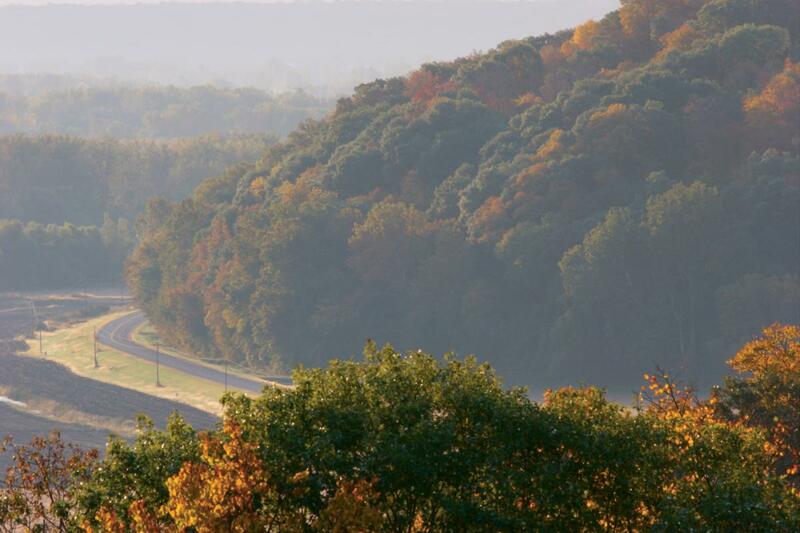 Here is a list of the top 10 picks for a fall foliage drive in Kansas. Cruise through the deep and russet amber of the Glacial Hills in the northeast corner of the state during harvest time. Carved by ancient glaciers, the Glacial Hills Scenic Byway runs through a distinct landscape named for the rolling hills and the rock-strewn valleys. The receding ice left behind a beautiful landscape and highly fertile farmland that flourishes in the fall. Plan a jaunt through the Chautauqua Hills near the state’s southern border. Approximately 10-miles wide, the sandstone capped hills make fields more suited for pastureland than crops. The Chautauqua Hills are picturesque for taking in a breathtaking Kansas sunset – the rolling plains warmed by the colors of the season, framed with cerulean, only make it more stunning. 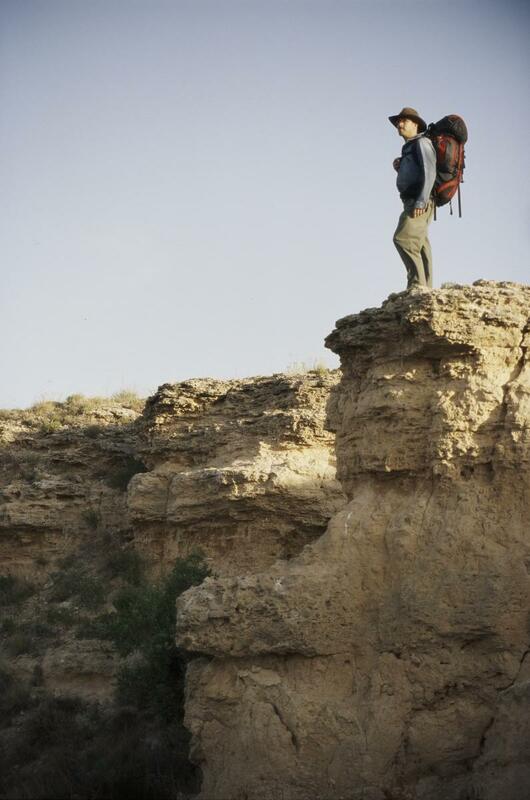 Nestled in the Kansas grasslands is the Gypsum Hills, with an abundance of geologic diversity. The Gypsum Hills Scenic Byway is enchantingly noteworthy for its rolling, weathered hills and charming characteristics. An early October drive affords captivating views from two scenic overlooks that highlight the blushing buttes, canyons and mesas bathed in golden sunlight. Nature’s fiery color display is perfection on a mild autumn day on the Flint Hills National Scenic Byway. Stretching more than 47 miles across the Flint Hills of Kansas, the byway is a two-lane, paved road and is a favorite fall foliage drive. In late August, Monarch butterflies can be seen fluttering across the hills as they begin their migration. 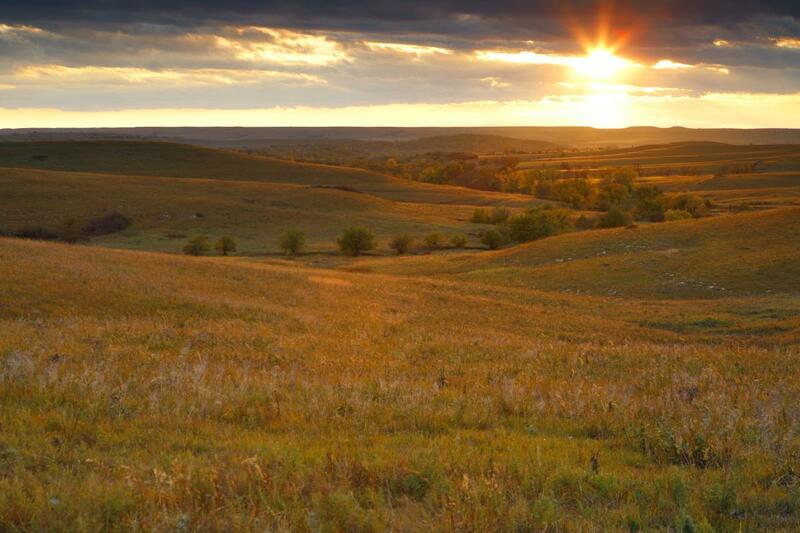 The Byway is a beautiful drive year-round showing off the panoramic vistas of the tallgrass prairie. The Native Stone Scenic Byway also stretches across the beautiful Flint Hills, offering a variety of structures constructed from its native limestone. Fall is festival of colors as the byway cuts through the rolling terrain – highlighting both the natural wonder of rock formations and the amazing craft work of masons who built walls, bridges and buildings with native stone. 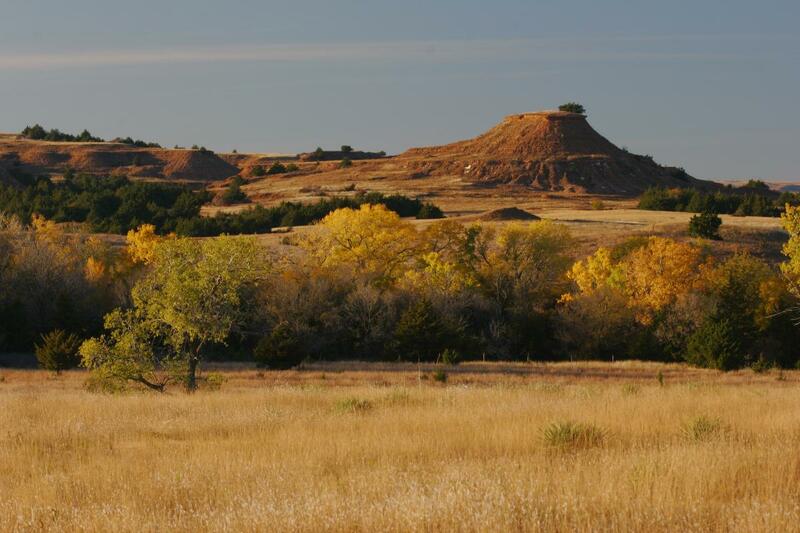 Go for a scenic, autumnal ride on a 50-mile, self-guided tour of the Cimarron National Grasslands in southwestern Kansas. The drive highlights many of the interesting wildlife features of sandsage prairie. The grasslands include rock cliffs, cottonwood groves, grassy fields, yucca and sage bush. The prairie habitat also attracts an interesting collection of wildlife species such as mule deer, coyotes and black-tailed prairie dogs. Travel through time, visiting multiple forts, museums and other historical gems – take the car for a spin on the Frontier Military Historic Byway. Roll the windows down. 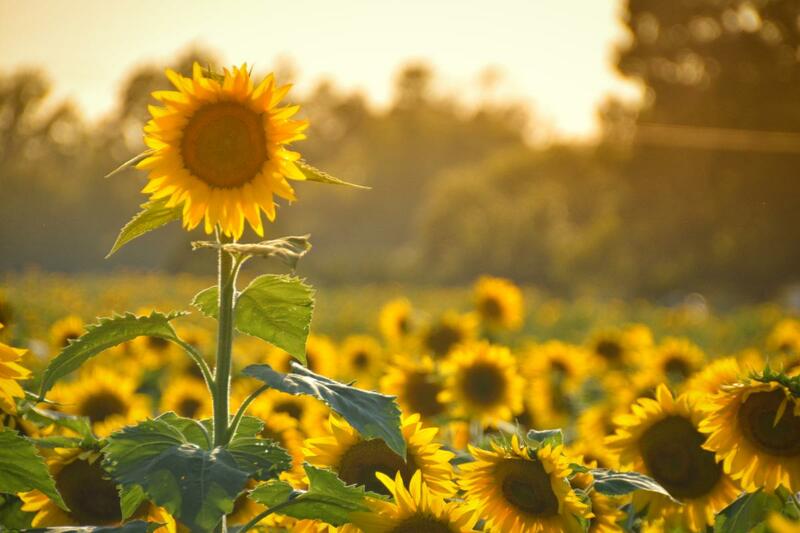 Pull on your comfy sweatshirt as you take in the colorful woodlands of the Marais des Cygnes Wildlife Refuge and Marais des Cygnes Wildlife Area. It’s a wonderful opportunity to enjoy nature – be on the lookout for deer!